thank you for everything. From helping us craft and hone our ideas for the day, to making the rehearsal not a massacre, to making, what many people said, was the best wedding they’d ever been to. Thank you for all that and more. We will remember for the rest of our lives the role you played in our wedding. We will e-mail some pictures soon. …thank you for the amazing wedding ceremony that you performed for us. It was touching, spiritual, poignant and so full of love. We have received numerous phone calls and notes about how lovely the ceremony was and quite touching. You really made the day special for us and we truly felt that it was a joyous celebration by the manner in which you celebrated with us. We were so honored to have you be a part of our day. It truly made the difference. I have to say that I am VERY happy with using Journey’s of the Heart. They were so professional and walked us through all of the ceremony before hand. Bob Pileggi was our officiant for our wedding and he was so nice to us, and wanted our wedding to be the best ever. He went over some of the things that we could do to personalize it. He also took the time to listen to our story and was actually very interested in it. He was glad that we were finally able to get married after 16 years of being together. I have to say that I was nervous about saying my vows, due to “stage fright” but when I explained my concerns to Bob, he was able to put me at ease. I would definitely recommend him and his company to all my friends and family. Believe me, you won’t be disappointed. He also takes the time to communicate afterwards with you, to see how things are going with you and your husband / wife. He doesn’t forget about you after the ceremony is over, which I like. Thanks again Bob Pileggi, for a great Ceremony!! Picking an officiant for our wedding was a bit tricky because while my husband’s an atheist and I’m an agnostic, my family is very religious (Baptists). We wanted someone who could help put together a ceremony that would have meaning for all of us without getting new-agey. Journeys of the Heart seemed to understand our predicament right away, so we chose Jim Rosengarten, one of their officiants, to officiate at our wedding. Jim is funny and kind, and during our skype call (we live in London and Jim in Philadelphia) listened attentively and made some excellent suggestions. Jim sent us a first draft of the ceremony from which we could choose different readings, unity ceremonies, ring blessings and so on, which was great because it was really important for us to be able to customize the ceremony. Jim also put together a personal story to tell our guests a bit about how we met and came to be a couple, which was sweet. It was a little hard to imagine how the ceremony would actually look or sound like, but on the day of the wedding it was beautiful. Jim had crafted a ceremony that involved our guests, was written beautifully and involved traditional elements like the blessing of the hands and rings without explicit religious references, which is what we wanted. He was an excellent public speaker and added some natural humor in appropriate places. When it started to rain, he managed to complete the ceremony before it started to downpour without rushing through or us feeling anything was missing. It was a lovely ceremony and afterwards we received many compliments from our guests on it. I wholeheartedly recommend Jim and Journeys of the Heart. We contacted Journeys of the Heart in a panic when a late snowstorm threatened our original officiant’s attendance. I heard back from ‘Diane’ almost immediately and was instantly put at ease. I wish that I could rate them a 10 stars out of 5. We quickly came up with a plan, and Susan Harte (lovely name for a wedding officiant!) worked with us on timing, vows, ideology, and insight. She could not have been more perfect for us in any situation, let alone this one. We are two men in our mid 50s who needed a simple but meaningful ceremony. We discussed options for vows, but frankly she ‘got it’ from the very beginning and we made very few changes. She was pleasant and professional, flexible and perfectly on time. The fee was very reasonable and appropriate. We would highly recommend Susan, Diane, and Journeys of the Heart to anyone. Jim and I wanted to thank you again for such a beautiful wedding ceremony! We received so many compliments on how lovely it was and how nice you are. Many people asked how we came to know you and mentioned how nice it was chatting with you. Thank you again for such wonderful memories! It’s been three months since our wedding, and my husband and I are still getting rave compliments about it (i.e. the best wedding ever, no other wedding can compare…)! What an awesome feeling to know that all of our hard work paid off whereby guests had such a wonderful ‘experience’…and at the head of that experience was Naila Francis. Naila presented such a wonderful, warm, and funny ceremony that captured the hearts of all of those in attendance. It’s nice when your guests tell you that they ‘have never seen or heard a more beautiful ceremony’ and that ‘the ceremony was breath-taking.” My own mother (mother of the bride) wanted to know how long we had known Naila, because she had such a command of our history as a couple that we seemed to have been long-time friends. Sometimes you just know that you will bond with people. From Naila’s background history on the Journeys website to first meeting her at Barnes and Noble, she is a respectable, loving, and lovely woman. She reveres in others’ happiness and somehow magically captures it and transposes it into words. However, there are no words to describe how efficient, professional, and humble she is. Naila exceeded our expectations regarding our wedding ceremony (both before the wedding and after). We are so blessed to have found such a wonderful officiant for our nuptials, and we are blessed that through this experience we have also found a friend. It has been close to three years since we were married. I want to reach back and extend our thanks and appreciation for being part of our day and truly making it unique. When we think back to our day, our vows, our ceremony – our hearts are still warmed by its one-of-a-kind essence. Our wedding day was unforgettable. We wanted you to know that everyone at the wedding was extremely impressed with our ceremony. They remarked that it had all the elements of love, wisdom, compassion and truth that any one could want in a wedding ceremony. You did a wonderful job for us and we are so very happy as a couple and as individuals. We thank you for your blessing and please know that our lives are blessed even more for knowing you and having you join our lives together. We used Gabby as our officiant and I must say WE COULDN’T BE HAPPIER!!! Gabby is absolutely fantastic! From the first time we met with her we knew she was going to give us exactly what we wanted and that was a customized wedding ceremony. From start to finish she was always available to answer questions if we needed anything. Her stage presence is unbelievable. She’s able to project her voice all the way to the back row of an outside wedding without it seeming like shes yelling. She was calm, collective, and spoke at just the right speed so everyone could hear her and understand her without it seeming like she was dragging on. She is genuinely a good person and she was a pleasure to work with! I will recommend her to everyone i can. We just returned from our honeymoon and wanted to sincerely thank you again. From our first meeting we felt very comfortable the wedding would be memorable with you as our officiant. Your calls, emails and advice were a welcome departure from the hectic pace planning a wedding puts on a couple. Our family and friends were so complimentary of you, the ceremony and beautiful manner in which you presented the words of gathering, prayer, honoring our mothers who were with us, our fathers who have passed, right through to the pronouncement of marriage. Not many could hold back the tears of joy and fulfillment. As I have described to others, “grown men cried”, this is a testament to your sincerity. We hope these brief but heartfelt thoughts find you well and please accept our appreciation for all you did for us. We will remember to “take a moment of pause” and “smile at the rock”. A prayer to you and yours, and our thanks to Journeys of the Heart for the service they provide. Thank you so much for leading our beautiful ceremony. The whole thing was absolutely perfect and we cannot thank you enough for putting everything together. Everyone we have talked to has told us what a personal and thoughtful ceremony it was and the compliments towards you in particular were plentiful. Your energy, thoughtfulness and obvious love for putting wedding ceremonies on shined through and really made our ceremony better than we could have ever imagined. And we really appreciated how you organized us and everyone in our party through everything. Your calm and enthusiastic demeanor really put us at ease and enabled us to put our nerves behind us and just enjoy every second off it. Picking you as our officiant was one of the best decisions we made in the whole planning process and we will forever be thankful for how special you made our big day. When we first began looking for someone to marry us, my husband and I went to his parents’ pastor. After a brief meeting with him, he told us he couldn’t marry us because we lived together without being married. We don’t belong to a church, and every pastor we talked to required us to be a member of their church. We talked to various JPs, but they wouldn’t go to a venue to marry us; we’d have to go the courthouse. After a few weeks of searching with no luck, we were beginning to panic. Then found Journeys of the Heart. It was exactly what we were looking for: a non-denomination organization that would provide a ceremony based on our beliefs, not theirs. We were put in touch with Kelly, one of their officiants who lives a few minutes from our venue. We spoke with her over the phone, and she was more than helpful. She walked us through what a typical ceremony looks like, and gave us several options for what to include in our ceremony. She also gave us about 20 different versions of vows and ring blessings to choose from, so we were able to find the one that fit our personalities the best. She was such a sweet and friendly person to work with, and she helped make our day perfect! I wanted to say thank you on behalf of me and my husband for the wonderful job you did while officiating at our wedding. The ceremony was beautiful and it felt like we had known you for years based upon the personal touches you added that truly represented our relationship. Guests at the wedding have also commented on what a great job you did. Thanks so much. It is obvious that you are truly called to this ministry. Thank you so much for being the officiant for our wedding. Thank you for helping us create a unique ceremony that we and our guests will always remember, especially the limerick! We get so many compliments and truly appreciate your time. Thanks again for being a part of our special day. I wanted to write you to give you a big thank you for the wonderful ceremony that Bob Pileggi created for wedding. The ceremony was absolutely flawless. Bob really listened to our ideas through the very short time we had to plan it. He even offered a wonderful idea during our Irish blessing to incorporate a circle of petals around us. I cannot say enough good things about him! All night long I had friends and family asking me who he was because they said that the ceremony had been so moving. It was such an amazing experience and my husband and I will always remember how beautiful our ceremony was thanks to Bob. Thank you so much for being a part of our wedding to celebrate the most important day of our lives. Mike and I are thankful for your help throughout the day because it would not have been as magical as it was without you. We really appreciate all of your hard work and are very pleased with your services. You truly helped to make the evening a night to remember. Thanks again for sharing in our special day. Mike and I would like to sincerely thank you for putting together a lovely wedding ceremony. Everything about it was beautiful. Countless guests raved about it, noting that it was the “most personal and beautiful” wedding ceremony that they have been to. We will never forget your kindness, professionalism, and commitment. Thank you so very much! Journeys, and in particular our officiant Gabby, came to our rescue at the last minute, less than 2 weeks before our wedding, and put together a perfect ceremony! They were also very flexible in scheduling our rehearsal. Gabby was kind, professional, reliable, and overall such a pleasure to work with. She was completely respectful of our preferences and made really helpful suggestions based on her experience. We couldn’t have asked for a more wonderful officiant, thank you! I just wanted to extend a compliment regarding Laura Ford and her working with my wife and I to put together our ceremony for our wedding last month. Above all the food, drink, flowers, etc. the thing we heard most about was our ceremony. Our families and our guest absolutely loved it! Laura was a pleasure to deal with in the planning of everything and was just as good, if not better, for our rehearsal and wedding day. She is the absolute best! Thanks Again! We cannot thank you enough for all of the time, energy and spirit you put into preparing and officiating our wedding ceremony. It was beautiful, unique and sincere. We could not have asked for anything more and will remember those special moments that you helped us make possible for decades to come. My wife and I selected Journeys of the Heart to officiate our July 2012 wedding at the Cairnwood Estate in Bryn Athyn, PA. Maria-Odilia Romeu was the officiant selected to work with us. From our initial phone consultation through the day of our ceremony, Maria worked with us to create a fully-customized ceremony that was uniquely us. We could not be more pleased with the quality of our experience. Maria was so personable, genuine, and professional throughout the process. Our guests remarked how much they enjoyed the ceremony and our officiant, specifically noting how Maria made the ceremony seem more conversational and personal rather than just a presentation. My wife noted that the officiant was one aspect of the wedding that she didn’t worry about.  We would strongly recommend Journeys of the Heart to anyone looking for a high-quality officiant who will work with your own religious, spiritual, or secular needs to create an incredible personalized ceremony that seamlessly blends diverse belief systems. Thanks, Maria and Journeys of the Heart! We are so happy that we had Naila marry us! She worked with my husband and I to create the perfect ceremony for our backyard wedding. We were able to go back and forth via email to customize the wording and she couldn’t have been nicer. She was completely open to us incorporating our own traditions (like a quilt ceremony) and she really calmed down our nerves by being so incredibly sweet and endearing. We were both really nervous to exchange our vows and she made us feel relaxed. Our family kept raving about how beautiful her words were and how they swore we were friends with her because she knew us so well (when in actuality, our wedding day was our first time “meeting”!). Naila even printed out our vows and gave us a lovely take-away folder. We will definitely be recommending her and Journeys of the Heart to all of our engaged friends. Susan, from Journeys of the Heart, saved our wedding day when our original officiant did not show up. We called any officiant we could find once we discovered we had a no show. Susan arrived a mere 20 minutes after our call and gave us a beautiful ceremony. I highly recommend Journeys of the Heart! I didn’t think there could be anyone kinder & sweeter on the face of the earth than Susanne of Journeys of the Heart. She has the biggest heart of anyone I have ever met and absolutely loves what she does. We opted to meet with her face to face and spent 3 hours talking about ourselves, to give her some “detail” into our relationship. This was the initial consultation, we hadn’t even hired her yet. She stressed the importance of “clicking” with your officiant, because they would be an integral part of your wedding day. I absolutely loved her from day one. Susanne was fabulous to work with, the process really couldn’t have been any easier. We did everything by email. I didn’t have to format, organize, think. We just picked what we liked and she did all the work. The day of the wedding she came up to talk with my husband and I, gave us a quick rundown and then did her thing. Our wedding ceremony couldn’t have been more beautiful. Susanne completely blew us away with the little tidbits she included in our ceremony that she picked up along the way. The ceremony was meaningful and special, it showed the love we had for each other and everyone who came to share the day with us. It was exactly what we wanted. I still have guests talking about what a fabulous ceremony it was, if I had to do it again, I’d hire Susanne a million times over. We booked Diane Smith-Hoban to be our officiant for our small intimate wedding ceremony. We felt really comfortable with her from the start and knew she would help us make our wedding something that we would cherish for the rest of our lives. Diane helped us capture all the meaning and significance of our relationship into an absolutely memorable ceremony. The personal touches helped to make the to the ceremony even more special for us and our guests. Reflecting on the whole experience, we wouldn’t change a single thing. Diane is fabulous at what she does and we highly recommend her. Thanks again for everything on Saturday. Everyone keeps raving about the ceremony and how great you were. Everyone especially loved how the baby was mentioned during the ceremony. I am so happy you suggested it! I couldn’t have asked for a better officiant! It was wonderful working with you. You made everything so easy to handle. I am sorry that the cocktail hour got away from me, and that I didn’t have a chance to say good-bye and thank you for such a special wedding ceremony. So many of my guests commented on this. Several were moved to tears. Thank you for the careful planning you put into all the details that made this such a beautiful and memorable event for us. Selecting the officiant for our ceremony was one of the hardest things to choose since it is someone you haven’t met that is speaking about your love story. We chose Bob Pileggi as our officiant and we couldn’t be any happier! He managed to make our ceremony extremely heartfelt and special. We told him our whole love story and he incorporated it wonderfully in a very creative way. We decided against writing our own vows because we thought this was cheesy, so instead Bob had us email him answers to a couple questions which were our “personal comments” about each other and we were not to show it to the other person. He read it for us at the ceremony and we heard it for the first time along with our guests. It was a beautiful idea as it was an easier way to express what we wanted about each other, without reading it ourselves and potentially crying the entire time while trying to speak! It was the best part of the ceremony and my guests also really appreciated how we shared this special moment. Bob is an extremely kind person and this showed through in his words as the energy around during the ceremony felt very warm. Our guests mentioned that the ceremony was very sweet and the words spoken were creative and had a magical touch. He even made an audio recording of our ceremony so that we can listen back to it when we want to remember the day! I couldn’t have asked for a better experience! Now that David and I are back and settling into married life, I just wanted to take the time to personally thank you again for being a big part of making our wedding day perfect!!! You are a wonderful officiant and you definitely calmed my nerves throughout the entire process (including the seconds after I walked down the aisle and felt extremely nervous!) David and I appreciate the notebook complete with our ceremony and “love story” and have already read through it once or twice since the wedding! We will definitely keep you in mind whenever we encounter someone looking for an officiant! Thanks again and have a great summer!! We chose Journeys of the Heart and are so happy that we did! After looking through profiles, my husband and I decided we would like to meet Bob Pileggi and learn more about him to see if he would be a good fit with us. My husband and I felt very comfortable talking with Bob and he seemed really interested in us and in helping us create our ideal wedding! Bob helped us create a beautiful ceremony that included personal readings, a rose ceremony, as well as many more personal touches. After our wedding, my husband and I received numerous compliments telling us how beautiful our wedding ceremony was. Many people even thought Bob was a good friend of my husband and l. Bob really showed an interest in us and being part of our story and are so happy we found him! He was always available through email or on the phone! Would definitely recommend Bob as well as this company to other couples looking for a unique and personalized ceremony. I’d like to thank you again for the AMAZING work you did with our ceremony; our families haven’t stopped raving about how wonderful the entire ceremony was start to finish! Kev and I couldn’t have been happier with how your words represented our relationship – our past and future growth together, the big and little reasons we’re so crazy about each other and our hopes and dreams for our life together. It was truly perfect. Words cannot express how grateful we are to have David Braneky from Journeys of the Heart to be our officiant for our wedding in May 2016. David, you are absolutely amazing! I wish all couples could be as fortunate as we are to have you for this experience! My husband and I are not very religious, my family are Chinese and his family are Methodist. We want our ceremony to honor both families, be unique, sentimental, but also fun. We emailed and met a few officiants, and none of them felt like the right fit until we found Journeys of the Heart. I talked with Diane over the phone about our situation, and she recommended David. During our first meeting, David talked with us for over an hour to really get to know us, and we got to know his style and were very comfortable with it. A month after we met, David provided us a first draft of the ceremony, and I cannot tell you how much thoughts and efforts he put into it! Not only did he provided many different options to consider for our non-religious ritual and readings, he also researched the traditions of Chinese tea ceremony and the vows in Chinese (even the pronunciations) to incorporate into our wedding! I had some family members came from China who did not speak English, but still felt so involved during the ceremony. Thanks again David and Journeys of the Heart for making this day so special and memorable! Thank you so much for being our officiant! Words cannot describe how wonderful you were yesterday!!! Joe and I were so happy with the ceremony and wouldn’t change even one thing about it. Everyone at our wedding kept saying how impressed they were with you and said it was the best ceremony they have EVER been to. Thank you again!!! Long story short, David Braneky at Journeys of the Heart was a great officiant! Would highly recommend him! Here is the long version of the story: we were originally going to try to save money by having a friend do our ceremony, but after going to other weddings where the lack of experience really showed (e.g., the officiant never told guests to sit down, so everyone stood for the whole ceremony despite having chairs; general nervousness/rambling on the part of the officiant, etc), we decided we would rather pay the money to have an experienced officiant perform our ceremony. Journeys of the Heart was recommended to us by our venue and by several friends. My husband and I are both Catholics, and were planning on having a separate, family-only Catholic ceremony later on, but we knew we wanted a touch of religion in our civil ceremony. David, as a pastor, ended up being a great choice. He was somewhat shy in person at our first consultation, but he did an absolutely perfect job at our ceremony. You could tell he was very comfortable addressing a crowd. We ended up making several major changes to our ceremony draft a few weeks before the wedding, but he was very accommodating and changed everything that we requested. He was also very helpful in creating a meaningful celebration for our moms (and dads), as our wedding was over Mother’s Day weekend and we knew we wanted to include that as part of the ceremony. I was nervous because we went with the cheapest option, which did not include an actual rehearsal with him the day before the wedding, but he guided us the whole way through the ceremony, discretely telling us to step closer/hold hands/etc when appropriate. No fumbles, no guests standing for the whole ceremony It was perfect! Seriously, spend the money and give yourself piece of mind that your wedding ceremony will go as planned! Highly recommend David Braneky!